is there a function for chart Gridlines? and if so what is it? 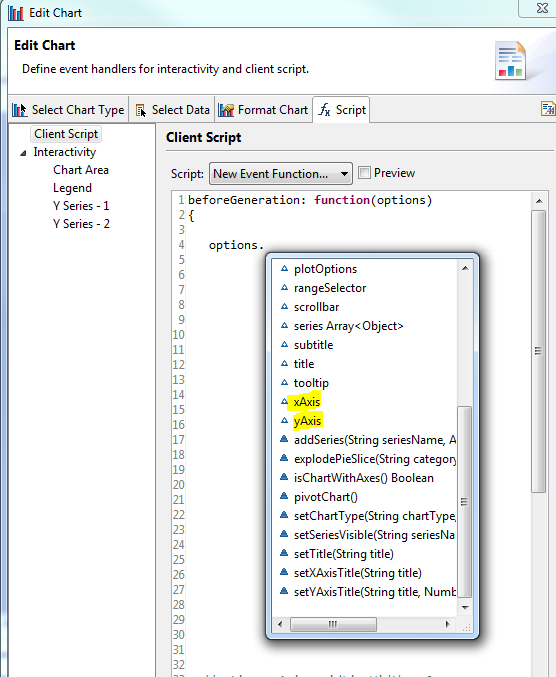 any document to see the list of function in BIRT ? For fixed gridline settings, go to the Format Chart tab and edit the X-Axis and Y-Axis poperties. Click the "Gridlines" button near the bottom to set the properties. 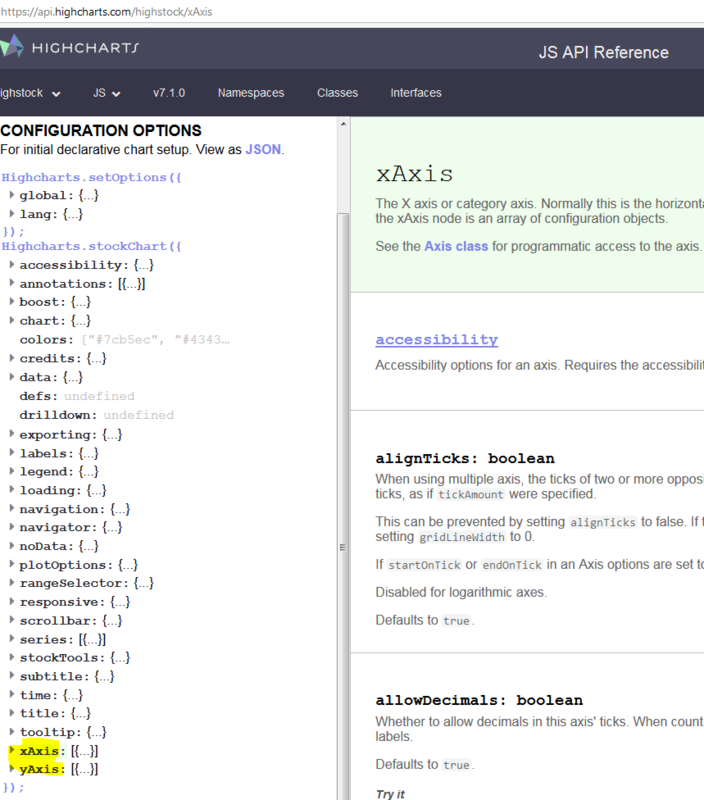 The gridline settings can also be changed in code. Note: The beforeDrawAxis event runs for each axis which is why the X and Y aren't specified. The beforeGeneration event runs once, so the X and Y axes must both be configured. I have already applied min 1 to max 6 and step interval 0.5 in chart scale X-Axis, and the Gridlines appears accordingly, how ever I was wandering if it is possible to make every 0.5 step disappear without changing any data or scale for x-Axis? this way x-Axis value shows as we want and also Axis value position stay center. but I am not sure if it is possible. 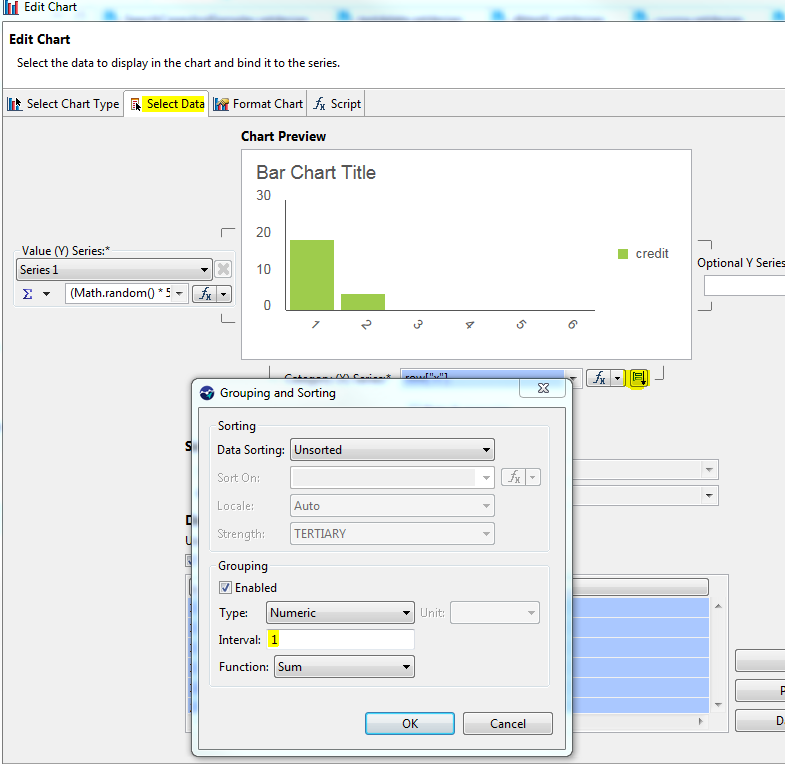 On the Select Data tab of the chart editor, if you set the X-Axis grouping interval to 1 as shown below, the data will be displayed in steps of 1 even if the step interval is 0.5. 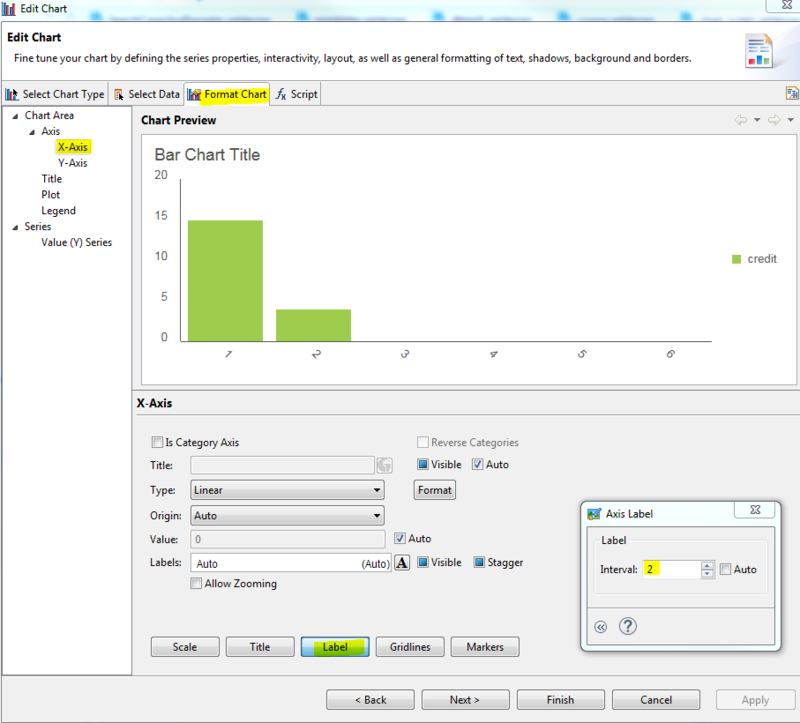 To change the X-axis labels, go to the Format Chart tab, select X-Axis on the left, and click the Label button. Set the Interval to 2. With the step set to 0.5, the labels will display every step of 1.